Custom power supplies Powermetrics Inc.
Company Overview: Description of Powermetrics and our facilities. 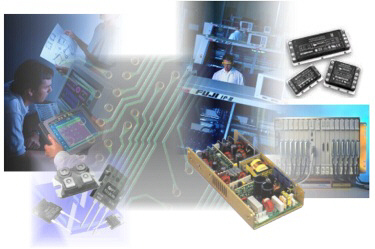 Capabilities: Complete custom power supply design, prototyping, and manufacturing. Products: Custom AC/DC and DC/DC power supplies from 50 to 3,000 Watts. Custom Inverters and UPS systems. We design power supplies for rugged, thermally challenging, environments. We utilize the latest microprocessor technology to enable such features as Power Factor Correction, PWM, monitoring, control, and communicaitons. We serve the industrial, military, transportation, telecom, and medical markets. Our expetise includes designs for rugged environments, PFC, hot swap, battery charging, and wide input range requirements. Services: Power supply repair & refurbishing. Contact Us: Phone, fax, and e-mail; or use our quotation request form. "We're big enough to deliver and small enough to care"
© 2001 Powermetrics Inc. All rights reserved. Products Include: transportation power supplies, military power supplies, medical power supplies, electrical vehicle power supply PFC front ends, industrial UPS, railway power supply, test equipment power supply, DIN rail power supply, inverters, telecommunications power supply, current output power supplies. We also offer power supply repair.